Must Love Dogs meets My Not So Perfect Life in this hilarious romantic comedy about a dog trainer who's a master at managing her four-legged friends . . . but not so much her love life. Cora Bellamy is a woman who thrives on organisation. She's successfully run her own dog training business for years, perfectly content with her rescue pitbull as the main man in her life. But all that changes when she meets Charlie Gill, the hottest client she's ever had. The only problem? Charlie's taken. Luckily, Cora has a new friend -- the lovably geeky Eli Crawford. He's always there to help Cora with her problems, including her love life. That's why she's shocked to realise that, even as things start heating up with Charlie, there might just be a spark between her and Eli, too. As Cora's life gets more tangled up than a dog walker's leashes -- and as she prepares to audition for a dog training TV show that may change her life -- she has to figure things out before it all goes straight to the dogs. 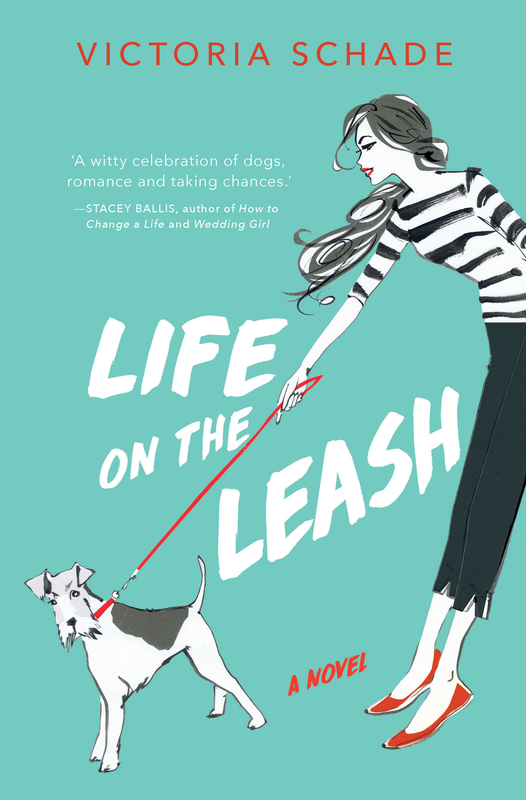 Charming, witty and warm-hearted, Life on the Leash inspires you to cheer for every underdog looking for love. Victoria Schade is an author, speaker, and dog trainer known for her upbeat approach to living and working with dogs. She has been featured in The Washington Post, Martha Stewart Living, Real Simple, Reader's Digest, The Bark, and many dog-specific publications. Victoria has worked on Animal Planet's annual Puppy Bowl special for the past twelve years. She has served as a pet expert for Petside, Pet360, petMD and PawCulture, writing training and behavior content and appearing in educational videos. Life on the Leash is her first novel.